With its beautiful hardwood base and smaller scale, the Executive Desk Globe makes an elegant office accessory. A quartz clock is built into the rich walnut base for added functionality (battery included). The 6" globe ball features an antique finish and gyro-matic mounting. 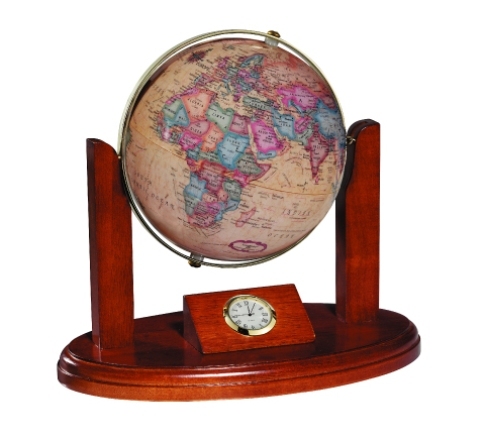 The Executive Desk Globe is perfect for corporate gift-giving.